Now Available! 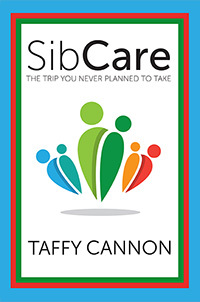 This book grew out of Taffy Cannon’s experiences with her own brother’s complicated, long-distance illness. It’s organized to make it easy to find the information you need and avoid what you don’t. How do you get started? What do you need to know, and how can you find it out? What’s the medical situation, and what does that mean? What legal paperwork do you need, and why? And perhaps most important, how do you maintain your own sanity? You can learn more right now at SibCare.org, and buy the book at Amazon. Taffy blogs intermittently at Views from the Muse with the Thalia Press Authors Co-op and at her own site, Never Say Never.